Storage available for quadcopter, transmitter and other accessories such as, batteries, propellers, tools etc. Material : Made of PU and ABS outside ,it is high quality and waterproof .Expanded Foam polypropylene fill inside of cases, would protects your EACHINE E58 RC Drone and accessories out of scratches , shock and splashes. Portable and durable : easy to carry, lightweight,easy to carry your EACHINE Drone and accessories outdoor. 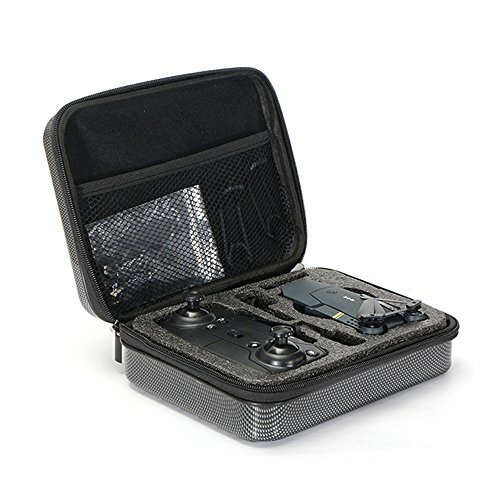 Protection : There are separate inner spaces for the drone and Controller, convenient to carry your drone and all accessories and protect them perfectly against shock and pressure. If you have any questions about this product by EACHINE, contact us by completing and submitting the form below. If you are looking for a specif part number, please include it with your message.